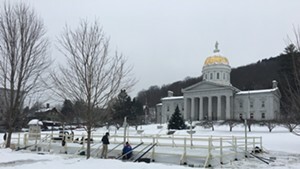 Volunteers consider the ice rink they set up on the Vermont Statehouse lawn last winter a “resounding success,” but it won't be making a repeat appearance. 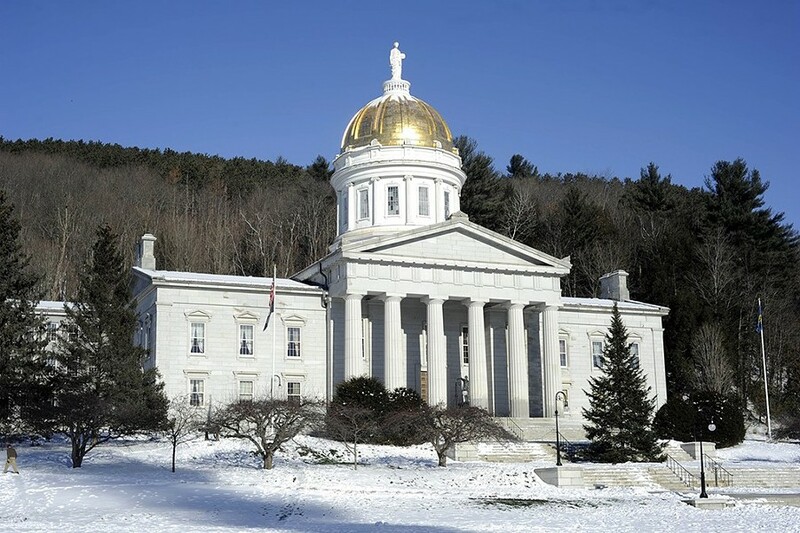 The four-member Capitol Complex Commission, charged with overseeing the “architectural and aesthetic integrity” of the Vermont Statehouse and its grounds, last week chose not to approve another rink for the upcoming winter, citing aesthetic and technical concerns. 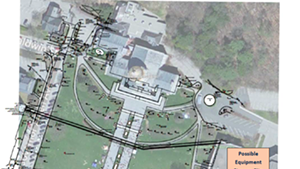 ✖Commission member Jireh Billings of Woodstock said he loves the concept — "the idea of people skating in front of the Statehouse is quite a postcard," he noted — but the sloped lawn creates complications. That postcard became a reality last January when a group of volunteers called the "Put a Rink on It Committee" got the go-ahead to set up a temporary rink in one corner of the snow-covered lawn. 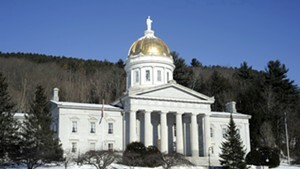 The committee had spent more than a year lobbying for the rink. The group submitted a 33-page report to the state afterwards that concluded the rink had been a hit. It estimated that 409 unique users made more than 800 visits and noted that 87 percent of survey respondents want it back this winter. Furthermore, there had been no serious injuries or other incidents, and the donation-funded project stayed under budget. Volunteers had constructed a simple wooden fence around the rink to satisfy the commission, which was concerned that the 18-inch drop-off caused by the sloping lawn was a liability. But that fence isn't an acceptable long-term solution, according to Billings, because it doesn't meet the property's aesthetic standards, nor does it address the commission's concern about potential drainage problems. The decision did not sit well with members of the volunteer ice rink committee. “We’re disappointed that we’ll be losing the rink as a downtown community attraction this winter,” said Kimberley McKee. The group is considering other locations for the rink.